A massive crowd witnessed today’s inaugural $1.3 million The Kosciuszko (1200m) at Royal Randwick won in emphatic fashion by Belflyer. The Grafton-trained galloper had a large throng of supporters that embraced wildly following the horse’s victory, with one revealing he had secured $91 on the TAB in early markets. “The Kosciuszko is the richest race in the world solely for country-trained horses and showcases the best New South Wales gallopers from outside the metropolitan area,” said Racing NSW Chief Executive, Peter V’landys AM. The lucky slot holders were Thad King, Richie Butterworth and Nathan Lavers: “We went looking for a horse that comes from near home and Belflyer was it,” said Mr King. 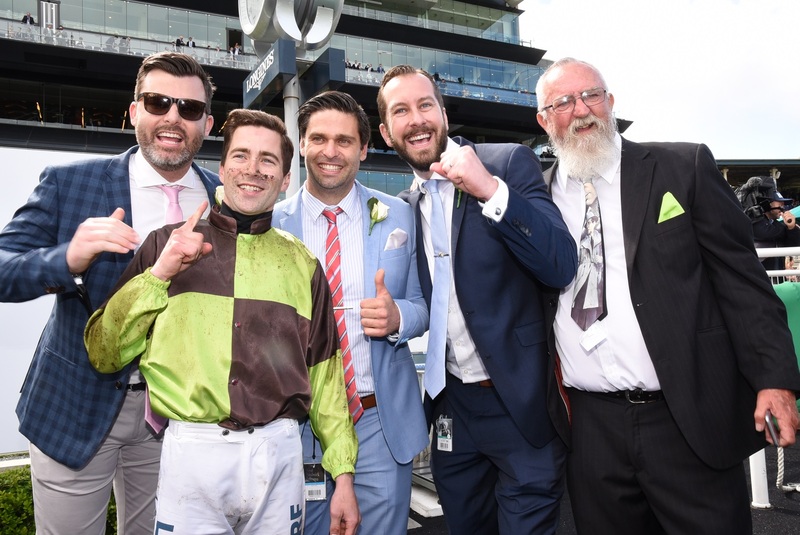 Winning jockey Adam Hyeronimus was ecstatic: “John was so confident of winning the race and had the horse set for it from the moment The Kosciuszko was announced.